The meaty chicken, earthy onions and mushrooms, and funky feta make a deliciously umami-filled stuffing. 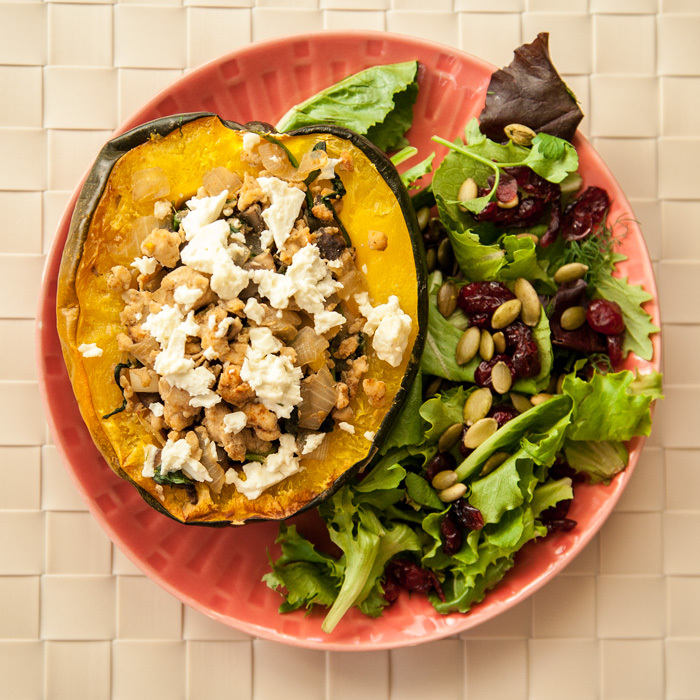 I like to pair winter squash with savory flavors, as I sometimes find their powerful squashy sweetness overwhelming. But this time, to my surprise, when I dug into my half I found the flesh to be super mild and not too sweet at all. Maybe because it’s early in the season? I’ll consider it my reward for welcoming the new seasonal produce with open arms, because since it was more starchy than sweet, this squash boat was almost like a giant loaded potato skin. Really! Complete the experience by drizzling liberally with your favorite hot sauce. Round out the meal with some fresh leafy greens – and don’t forget to complete your seasonal stylings with pumpkin seeds and dried cranberries! Preheat the oven to 375. 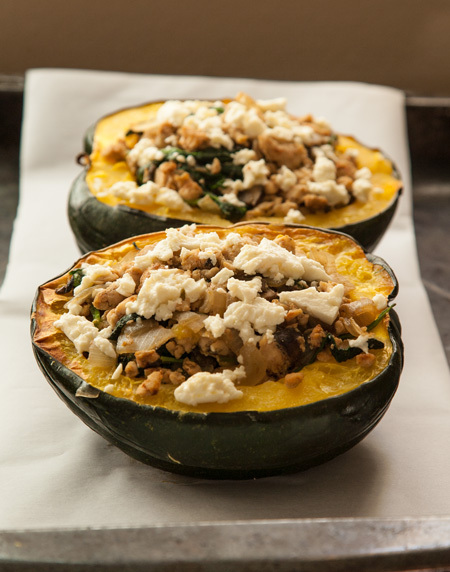 Place the acorn squash halves face down on a baking sheet and roast for 15 minutes. 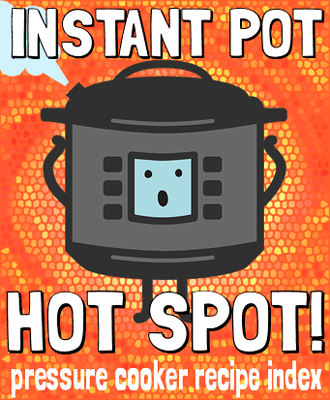 While the squash cooks, heat the olive oil in a large skillet over medium heat. Add the chopped onion and mushrooms and saute for about 5 minutes, until soft. Add the ground chicken and spices and cook, stirring frequently, until the meat is browned and cooked through. Add the spinach and stir it into the mixture until it wilts. Stir in the fresh parsley, and season the mixture with salt and pepper to taste. Remove the squash from the oven, and flip the halves over to create boats. 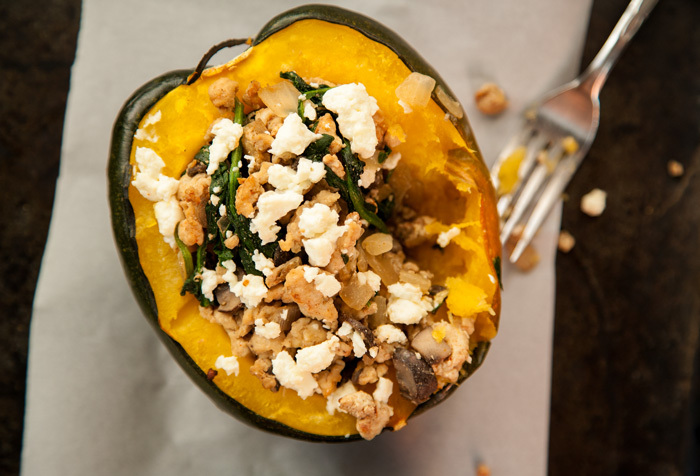 Distribute the filling evenly among the squash, and top each half with crumbled feta cheese. Return the squash to the oven and bake for another 10 minutes. Next Next post: San Diego Dietitians!